How often have you had the conversation with people about the awkwardness of township tours and their sense of voyeurism? I have had this conversation too many times with friends, family and customers, but believe these township experiences to be essential. They not only enhance the understanding and acceptance between cultures, but also give a better and more personal appreciation of the legacy of Apartheid and of what is often considered as the underbelly of South Africa’s society. 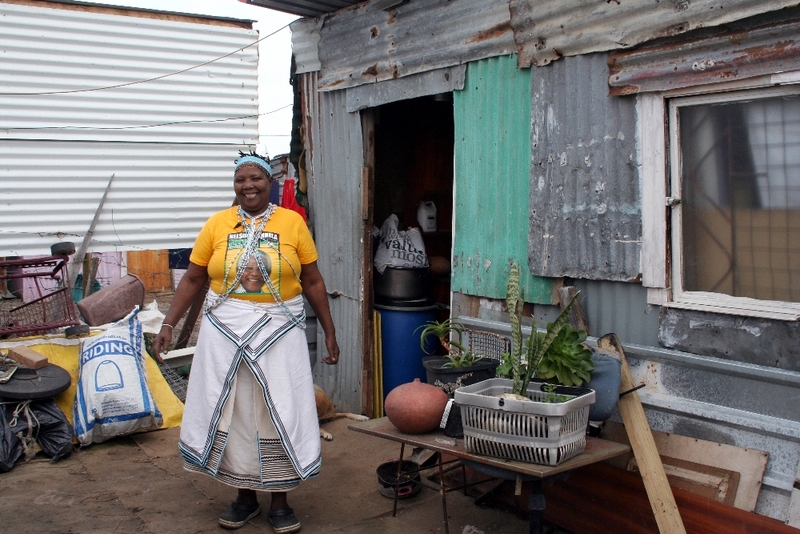 Township tours show the vibrancy of these areas, its friendly, warm, and engaging people, and its community full of optimism, creativity, and kindness. 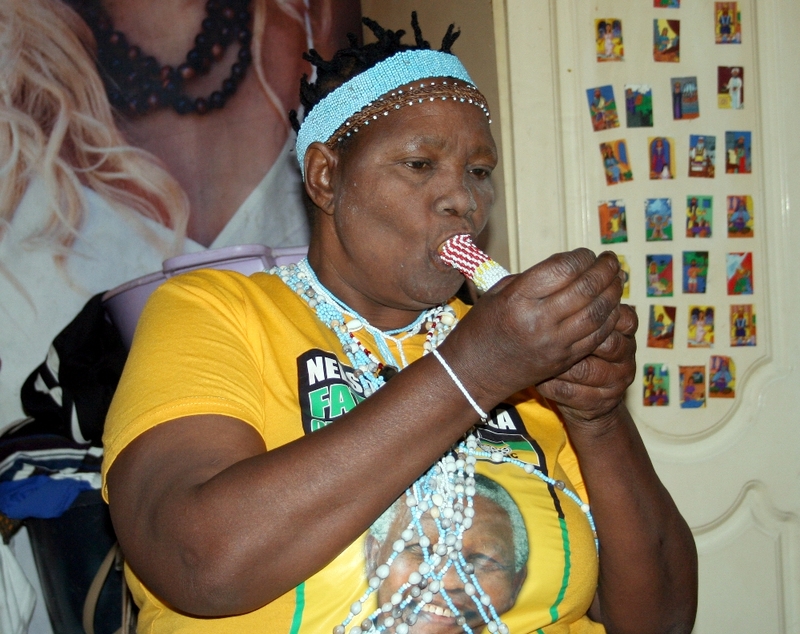 However, townships need to be heard, smelled, touched and not just seen from an air-conditioned bus. The tours also need to be a win-win for both the visitor and the township community. 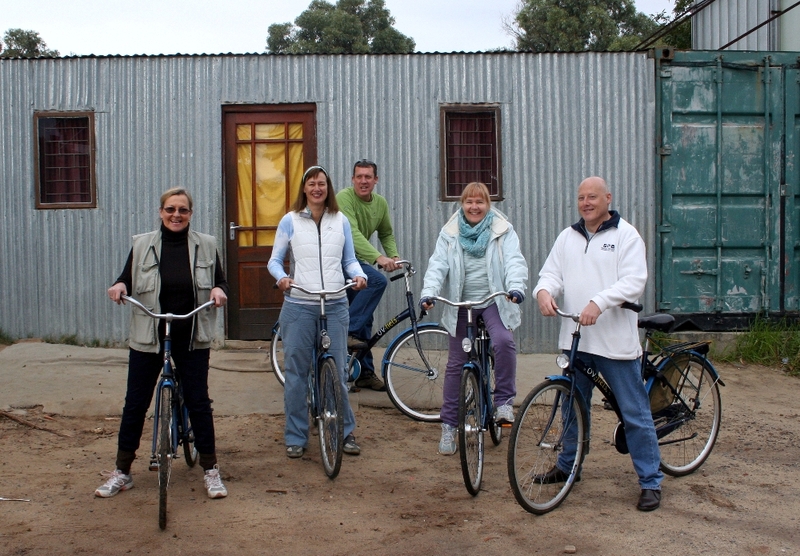 AWOL Tours hit the proverbial nail right on the head with their Masiphumelele township tour by bicycle. Their private tours are small (mostly 2-4 people), non-intrusive, offer plenty of opportunities for interaction, and generate clear economic benefits for its community. On top of all this, the mode of transport is fun and environmentally friendly. 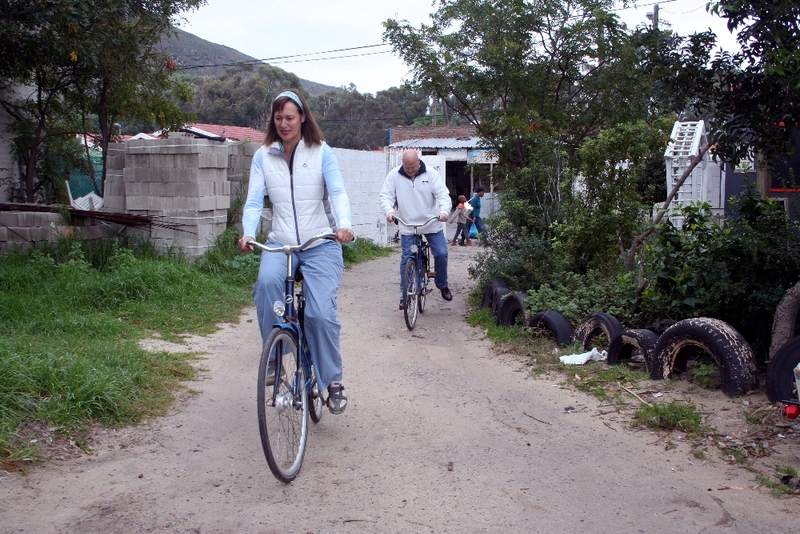 For each AWOL tour, fees are paid to local business owners and facilities visited, including the BEN Bicycle shop, Nongoloza and Nonni’s Restaurants, Sangomas or traditional healers, crafters & local artists, and local pre-schools. We were met by the AWOL bicycle guide, Zwai, with a beaming smile just outside the BEN bicycle shop. I grew up in Holland, so the old fashioned Dutch bicycles were a lovely surprise and I took to the back pedal breaks as a duck to water, unlike some of my friends. Masiphumelele is a small township with an estimated population of 40,000 located in the centre of the Cape Peninsula. The vast majority of Masi’s population live in shacks with one shared water tap between at least six families and shared toilet facilities. Basic services and amenities, such as sewerage, electricity, roads (part surfaced), a primary and secondary school, and health clinic, are provided by the City of Cape Town. Unemployment is thought to be more than 60% and most people live from irregular and mostly informal jobs. 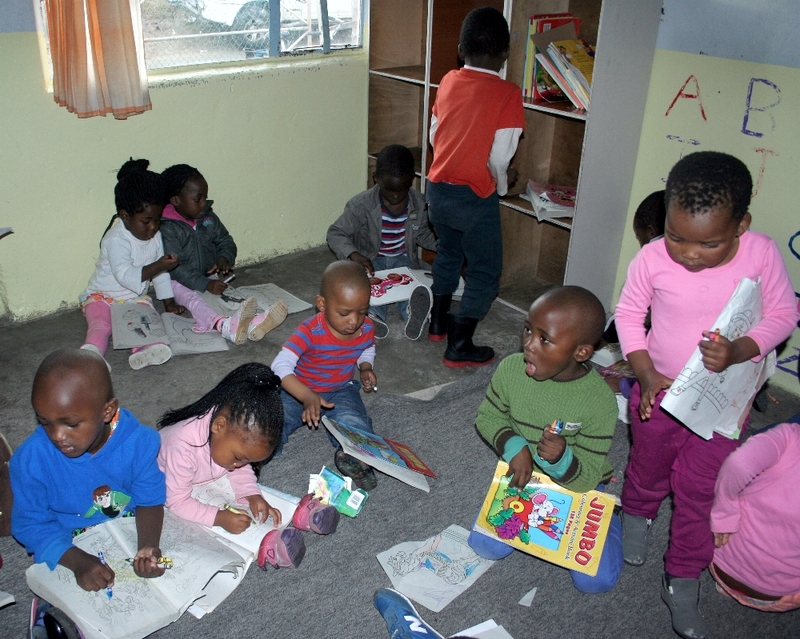 We visited one of the many pre-schools that operate in the township, often from a house or shack. The teachers do amazing jobs in keeping the 65 or so children between the ages of a few months to 5 years entertained in two small buildings. They teach them basic skills and feed them breakfast and lunch in these cramped conditions. If it was not for these heroes, single mums would need to leave their child/children with extended family members or older siblings in order to go to work and earn a living. I have enormous respect for these women, who provide a safe environment for children and are paid very little or not at all for the vital jobs they do. Sangoma’s or traditional healers play an integral role in African life and are often consulted in conjunction with Western trained doctors. Mayengese Evelyn Nomabhaso proudly shows us her Traditional Health Promoter’s Licence and her official red cape with beret. She patiently explains her beliefs and traditions, how she seeks advice and guidance from her ancestral spirits for her patients, and prescribes mostly herbal remedies. It is a fascinating experience, but one hard to completely comprehend with a scientifically trained mind. Our last stop was the real highlight for me, as I was not expecting to find an organisation like Deaf Hands @ Work (DHWSA) in Masi. Finding work is hard for most people, but finding work for people with disabilities is near impossible. 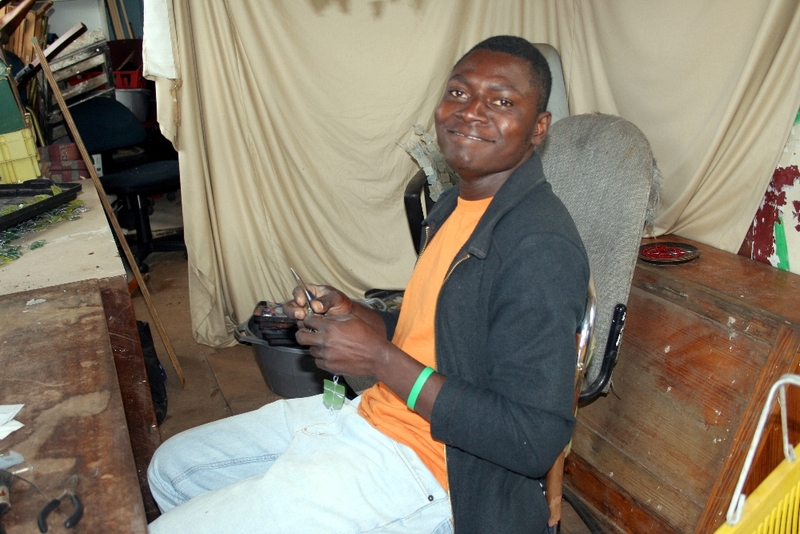 Charles Nyakurwa grew up with his brother Peter, who has a hearing impairment. 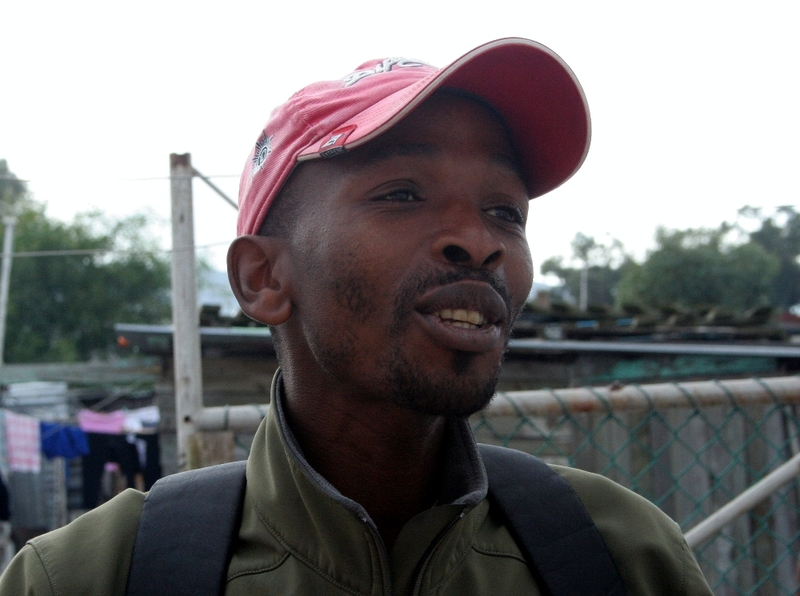 He now runs DHWSA, an organisation that empowers deaf people by providing training and creating employment. 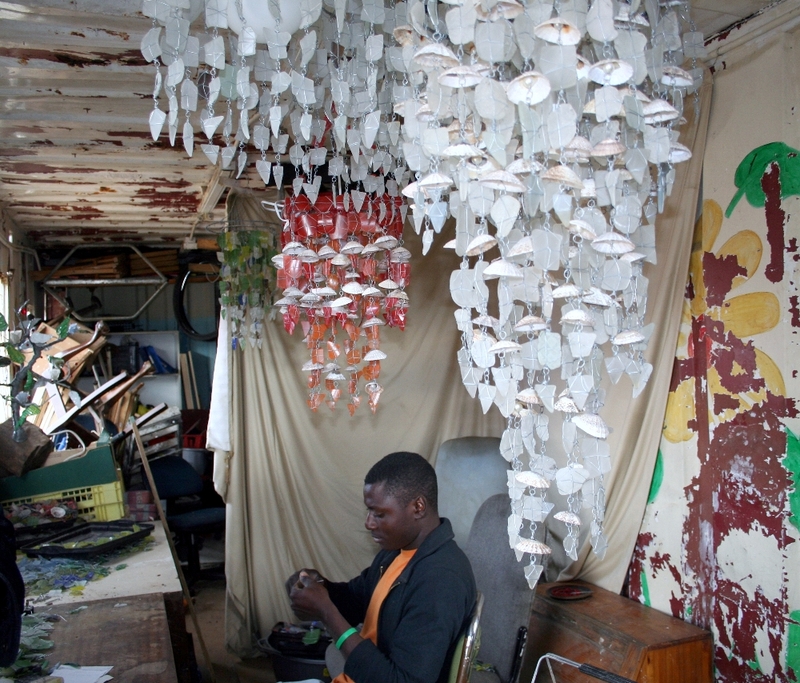 Peter now makes the most beautiful chandeliers from recycled glass. Our group were mostly people associated with Masicorp, an NGO that empowers the people of Masiphumelele through the promotion of education and entrepreneurship. All of us are very familiar with the township and its people and many have been involved in various Masicorp projects for many year, but every single one of us took away a whole new side of Masi and its beautiful and resourceful people. It is obvious that a lot of thought has gone into AWOL tours and that it takes responsibility for ensuring that its operations do good. I’m no expert in the field, but photos of little African children sitting on men’s knees is something that wouldn’t be allowed in the UK. I wouldn’t like tourists visiting my family’s pre-school. Perhaps Sallie Grayson has an opinion? Thanks John, I do share some of your concerns. I would like to set this in a local context, where pre-schools are among the most needy in terms of (financial) support. At the same time, these kind of interactions can bridge pre-existing prejudice between different racial groups and are immensely important for basic human understanding and relationships. Hence it would be a real shame to avoid these out of fear, as they greatly contribute to the sustainability of these essential centres within communities – a safe heaven for children during the day when mum is at work. I do however completely agree that any interaction with children needs to be organised in an extremely sensitive way. 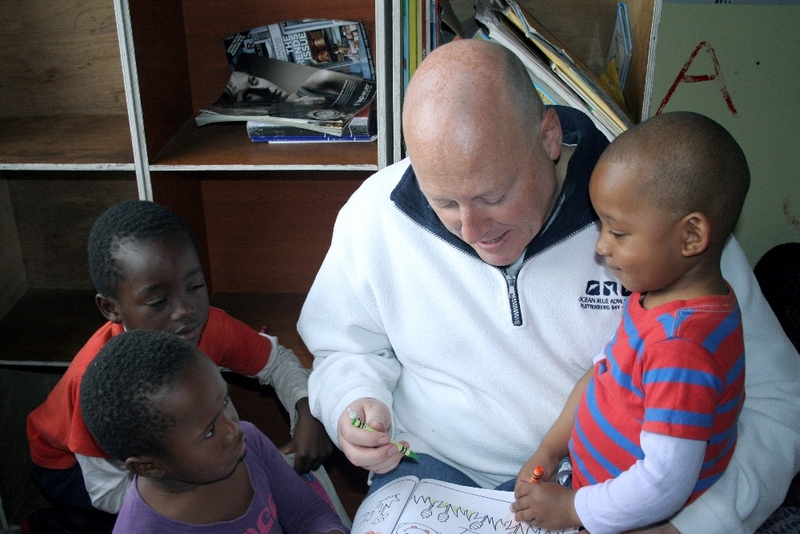 NGOs and tour operators, undertaking these kind of tours in Masiphumelele, have signed agreements in place with the pre-schools involved. Parents and school management have given their permission to the photographing and publication through social media of the children in their care. Many argue that visits to pre schools generate much needed funds – it is difficult to argue against that without suggesting alternative income generating opportunities to seriously underresourced initiatives, but engaging as the picture suggests is against all childcare expert advice – The picture is unfortunate and detracts from the obvious care AWOL have put into thier tour and gives out all the wrong messages – I am sure that AWOL do not want to foster the idea that children are tourist attractions. It is common to see children and adults interacting on the websites of companies offering township tours. When you visit a pre-school on such a tour the children are excited and often want to climb on you when you sit down or hold your hand as you walk around. It is difficult to refuse this interaction without causing offence to your hosts, and for many people it is the highlight of the tour. Both parties are willing participants, parental consent has been given and all interaction takes place in a controlled environment with the tour guide and school staff present. The risk to any party has surely been minimized as best it can and the “win-win” scenario mentioned at the start of this blog is achieved. Perhaps these concerns are a cultural difference between the UK and South Africa. For me, there is no automatic assumption that an interaction between an adult man and a child has a sinister element to it. I look at the picture and see a child and a man colouring in a book. To me it’s a positive image. I don’t understand the need to jump to any other conclusion. On behalf of AWOL Tours. Thank you so much for the comments above, this is a topic that people need to think more about when booking a cultural township tour experience. Our very first priority as a South African Tour operator are responsible tourism practices that are mutually beneficial to the community, the guests and the environment. A percentage of tour proceeds are denoted to education projects in this community and we prefer to show the guests where the proceeds of this tour are being distributed. There is a brief meet and greet with the children under the constant supervision of the teacher, her assistant and the guide, our guests are never left alone with the children. 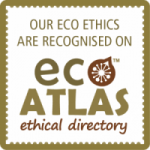 AWOL Tours has been acknowledged with Responsible Tourism practice awards. We keep our groups very small ( private) so that the environment, resources and communities that we are operate in are treated with respect; making our tours mutually beneficial. AWOL Tours encourages guest interaction with the community members without handouts to the children (of monies or sweets). The children genuinely have so much fun when they see our bicycles approach their school and yes, guest are often invited to help with some colouring in. I hope this is helpful please do let us know if you would like to join this experience. Please do not hesitate to email me at Helen@awoltours.co.za if you would like more information.